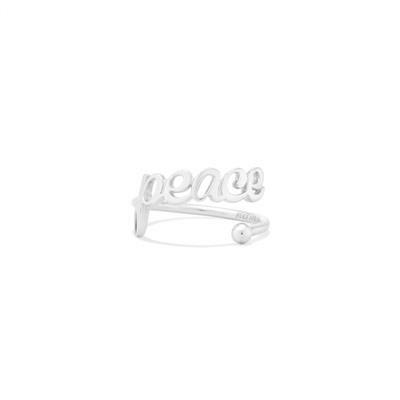 Celebrate the season of good will with this beautiful peace ring. Invited peaceful energy in to your world, accept all that is gracious, kind and good. Stamp your positive intentions out to the world and let peace be your constant companion. From 16th Century England to 21st Century America, Alex and Ani have brought back the classic spoon ring design. Fully adjustable to fit featuring iconic ALEX AND ANI designs and made from Sterling Silver, these fabulous designs are the perfect addition to any ALEX AND ANI collection, and look great worn on multiple fingers.